What is Your Position on the Homework Debate? DESPERATE parents are hiring private tutors to turbo-charge their children’s education because they are unhappy with the amount and quality of homework set by schools. Education experts are so divided about the merits of homework that growing numbers of families are signing up their children for outside coaching to supplement classwork. 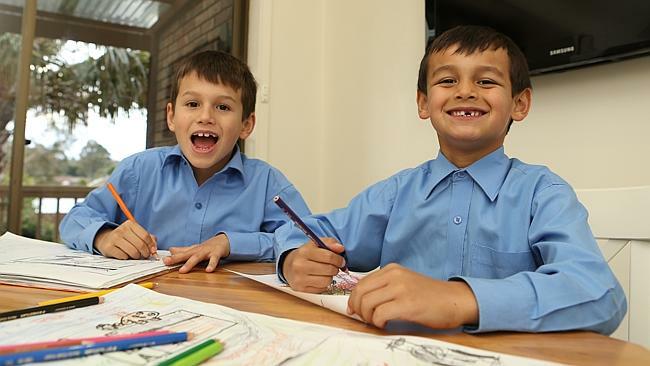 Education insiders have told The Saturday Telegraph that homework policies vary enormously between schools and often between teachers at the same school. The homework row has been fuelled by a parliamentary inquiry in Victoria that found it had almost no academic benefits for primary school students. And in France a plan by President Francois Hollande to abolish homework in French schools reignited a long-running debate. The Australian Tutoring Association said many parents enrolled their children in private coaching to ensure they received “structured support” outside of school. Chief executive Mohan Dhall said homework was often given to primary school children without explaining why it was set and without an obvious reason and purpose. Teachers argue there is no one-size-fits-all policy for homework. Some experts claim children should spend their time after school playing and letting their brains wind down so they can get a good night’s sleep to absorb the day’s learning. Newly released data reveals Australian children have the fifth greatest homework load globally, with 15-year-olds receiving about six hours’ a week compared to the OECD average of 4.9 hours. The research shows private school students do about two hours of homework more than their peers in public schools. Schools are also facing a groundswell of opposition to homework as doctors advise it is bad for children’s sleep and educators and academics claim it is of little benefit. This entry was posted on September 28, 2014 at 10:31 pm and is filed under Homework. You can follow any responses to this entry through the RSS 2.0 feed. You can leave a response, or trackback from your own site.